This year, at least for my personal growth, has been a lot about revisiting my talents and trying to get my brain and my hands to work with my imagination. 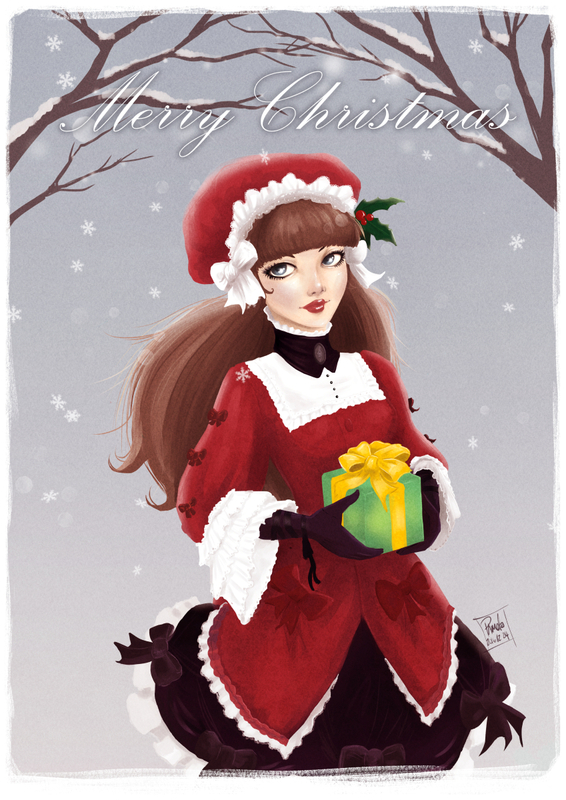 I didn’t give myself the time to create original Christmas art, but yesterday I was inspired to get home and revisit an old drawing of mine. 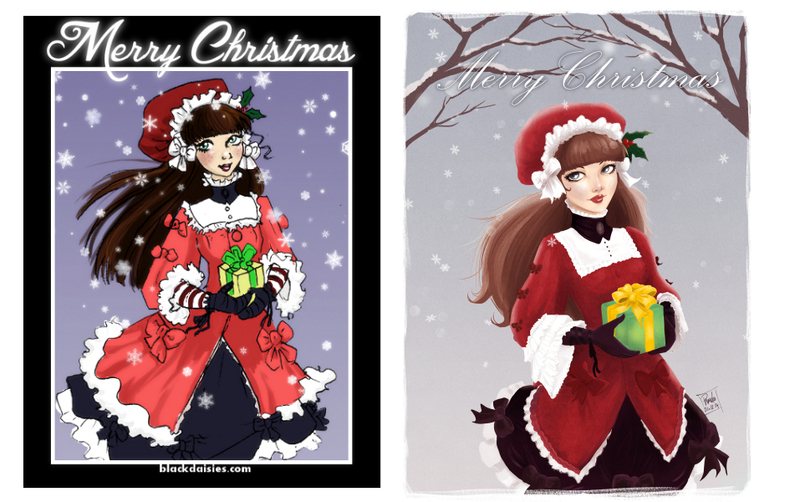 The original drawing was meant to be festive art that I’d want to add to a card in 2012. The end result, now that I look at it again after all this time, just looked… lazy. So I repainted it as I probably had intended it originally. I don’t know if I’ve gotten any better, talent-wise, but I’m much more patient at least. The drawing took about 12 hours to complete in Clip Studio Paint. The comparison of cards is below.